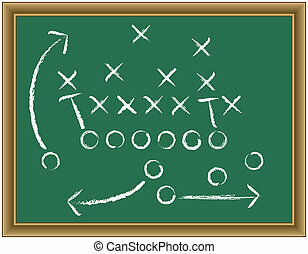 Football game plan. 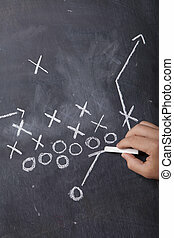 An american football and a hand drawn chalkboard play. 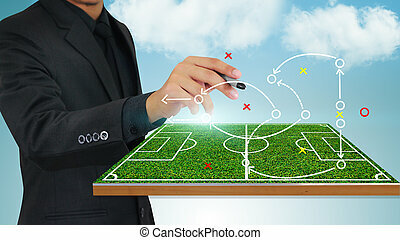 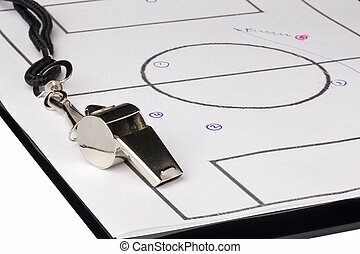 A silver whistle laying on a clipboard with the game plan on it. 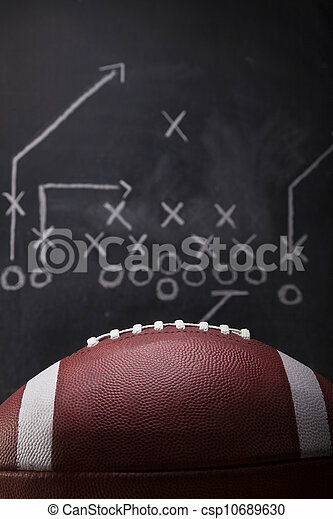 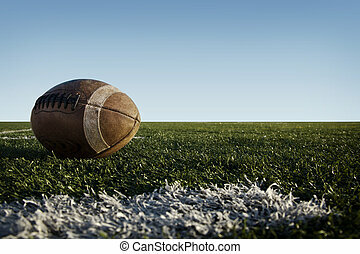 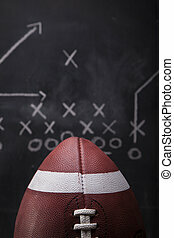 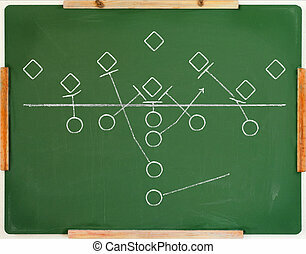 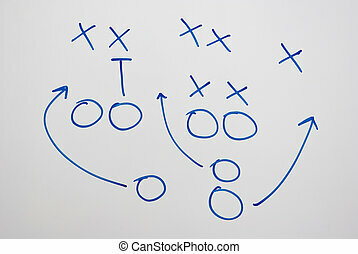 An American football with a play drawn up on a chalkboard in the background. 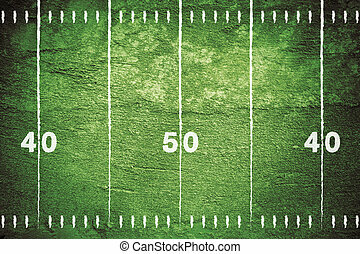 Grunge football field with chalk drawn lines. 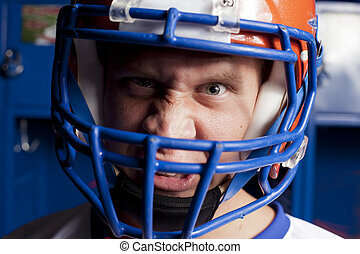 Close up of an american football player with helmet in locker room. 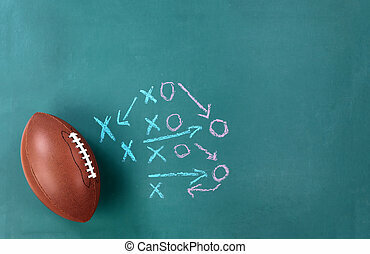 A hand draws a football play on a chalkboard with chalk. 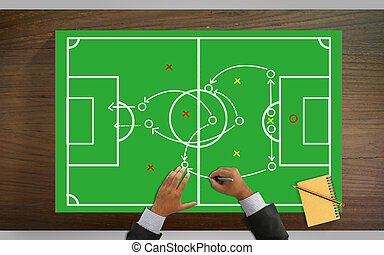 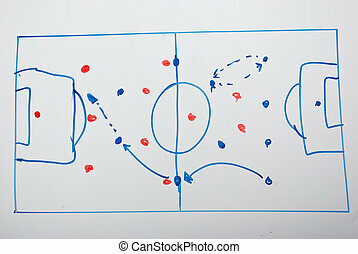 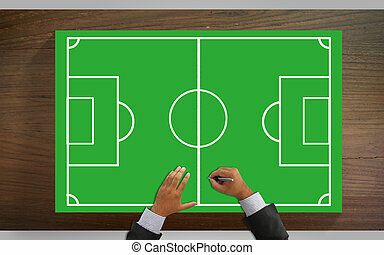 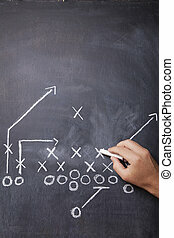 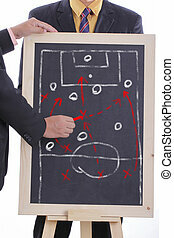 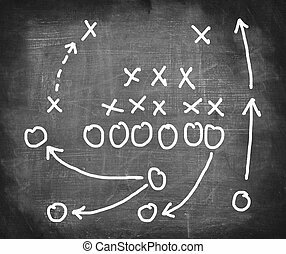 A hand draws a football play on a chalkboard with chalk leaving room for copy. 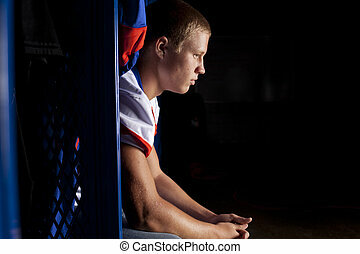 A football player sits in his locker thinking about the game. 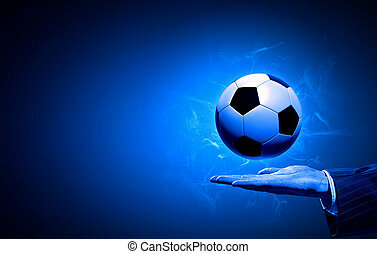 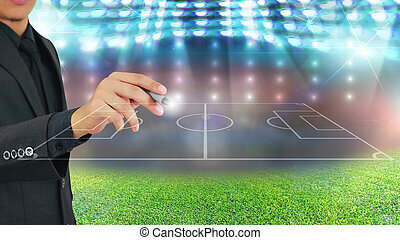 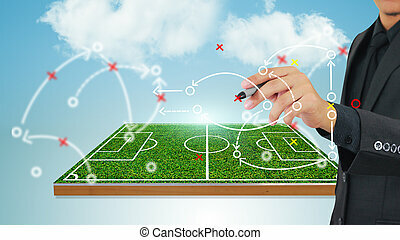 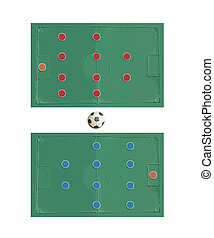 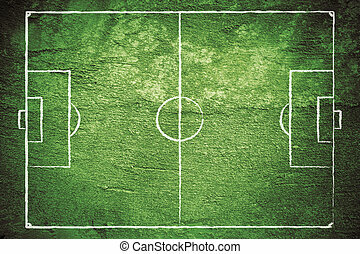 Grunge illustration of a soccer (football) field with chalk drawn lines.